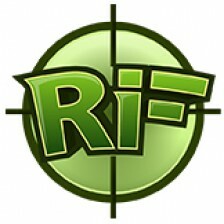 This is the second week in a seven-week sale featuring the variety of factions and strategies offered by ReconInForce. Last week fans could purchase the rumbling Iron Raiders for half-off and could also read a special strategy guide. This week we’re going to dig into a commander with a bit more trickery: the Resistance. Read on for an introduction into the shadowy arts of the Resistance and then fire up ReconInForce to purchase the commander at half-price, or $0.99! Using guerilla warfare, the Resistance specialize in hit and run tactics and rely on the element of surprise. Because their units are far weaker than any of their counterparts, the Resistance must locate and strike at the more vulnerable elements of the enemy formation. 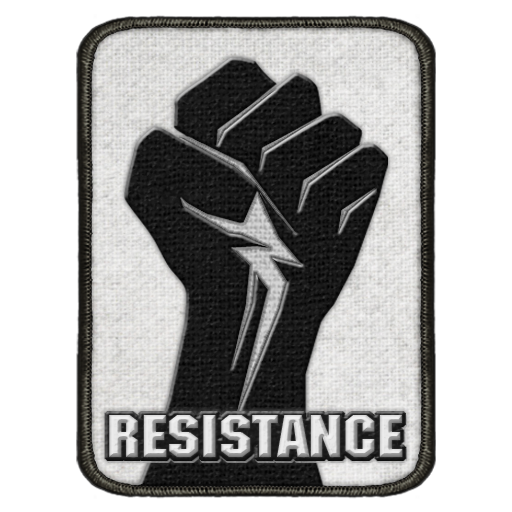 Almost every Resistance unit shoots without revealing itself, meaning that once a Resistance unit fires it is free to relocate without fear of being tracked by the enemy. Their flagship unit, the Remote Bomb, can be positioned to detonate near any pursuing enemies that charge blindly after the retiring Guerilla Fighters. The Resistance was one of the last units to arrive on the drawing board and didn’t appear until late Alpha. 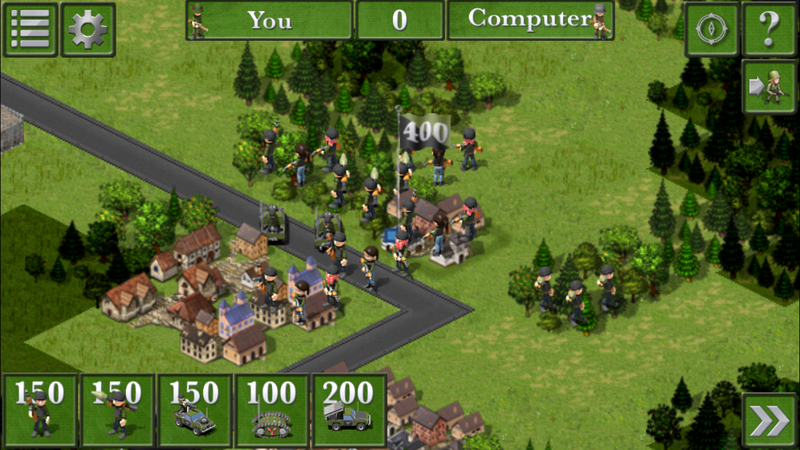 In a strategy game that so heavily utilizes the fog of war, it seemed like an injustice to glance over Guerilla Warfare. Drawing inspiration from the tactics used by modern insurgents, the dev team wanted to create a faction that felt like the underdogs but under the guidance of a skilled player could prove devastatingly effective. One notable aspect of the Resistance is they have the only clearly identifiable female character: the third member of a squad of Guerilla Fighters. The idea to add a female character in the game arose from a photo series about female Serbian rebels. The Resistance infantry was indeed modeled to resemble an to everyday civilian to give the appearance of an untrained but very determined militia. 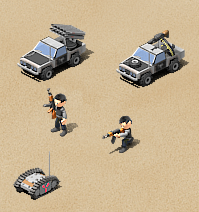 The vehicles look like remodeled pickup trucks and were inspired by the weapons used by the Libyan rebels. Lastly, the idea for the remote bomb was borrowed from the Goliath tracked weapon used by the Germans in the Second World War. I usually select the Resistance on maps with lots of cities and forests and control points that are close to the enemy. I shy away from using the Resistance on maps that have rivers near the front lines because the Remote Bomb cannot cross rivers. A perfect map is “Operation Deadlock” because it has extremely fragmented sight lines and lots of capture-able flags along the centerline of the map. I’ll open with about four Technicals and maybe a pair of Remote Bombs. I leave a pile of deployment points in the bank for next turn. On the second turn I’ll run each of the Technicals up by two or three Action Points to determine where the enemy is going. Using the fourth Action Point I’ll either deploy smoke or capture the nearest flag. The Guerilla Fighters and RPG Fighters have a great characteristic which allows them to deploy from flags that I control. So I will select a flag that is near the front line but also surrounded by lots of great cover and then deploy a swarm of infantry right onto my opponent’s doorstep. With my remaining action points I will pull some Rocket Trucks onto the field and move them into cover. I will end the turn by moving Remote Bombs into cover and along roads or pathways that I think my opponent will rush down next turn. The trick is to using the Resistance is to always maintain the initiative. 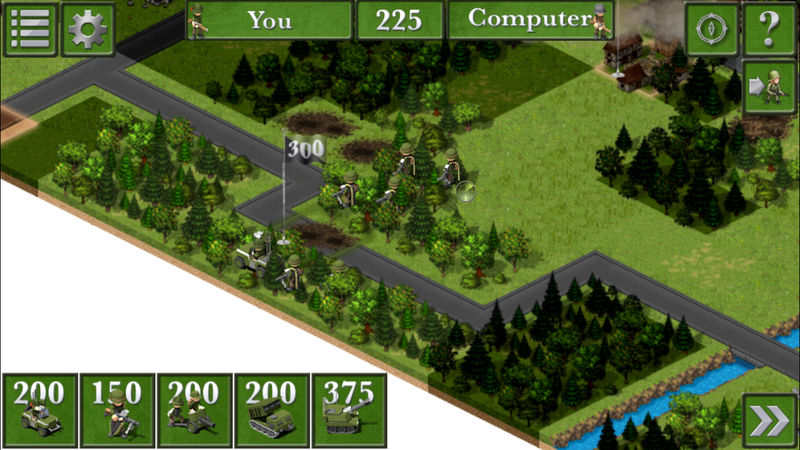 Use the Technicals to find the weakest points in the enemy’s formation. Then capture a control point and plop down a sizeable force to create a headache for your opponent on the next turn. If they take the bait, they will spend all their action points locating and destroying your new force. If they try and maneuver around you, the Remote Bombs will pick off their scouts and delay their advance. The Resistance is a slippery bunch but if you can manage to find them then you should be able to pick them off. 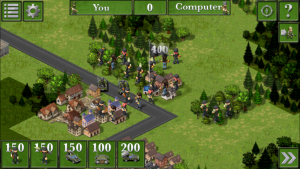 Thorough and procedural scouting can be used to locate their forces, and then heavy weapons or artillery will be able to quickly deal with enemies you find. Maintain a cohesive frontline and don’t rush your units blindly into their traps. If the Resistance cannot find a weak-point to exploit then they will be forced to make a costly frontal attack. Players should employ a heavy contingency of scouts, such as the 606’s Drones or the Royal Battery’s Spotters to locate the Resistance. 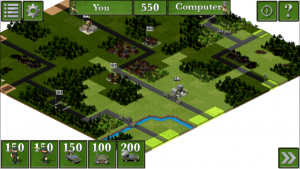 Since the sight radius of scouts through dense terrain like cities and forests is only a couple of tiles, move cautiously one tile at a time even though your movement range is further. When a Resistance unit is located, it is usually deep into cover with minimal line of sight to the target. Use indirect fire weapons such as the 606’s Observer or the Royal Battery’s Heavy Artillery to knock out these targets with indirect fire. 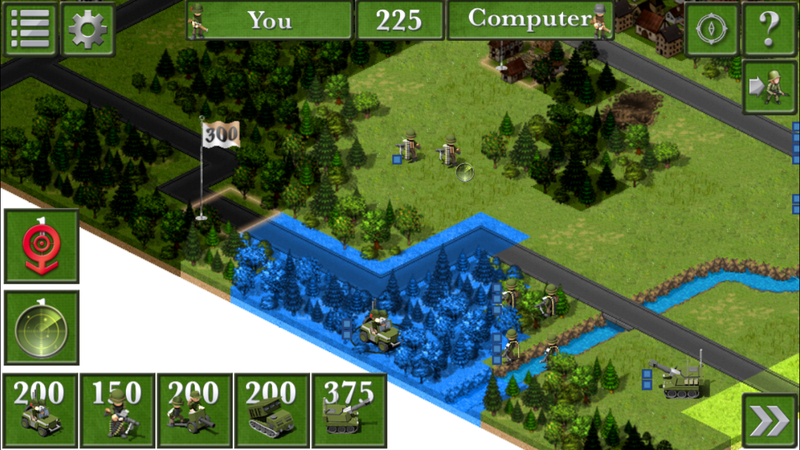 Once the area is clear, your infantry can move up through your scouts to screen and create a new front line. A slow and steady advance is key against the Resistance. Use caution and good scouting to prevent surprises. Maintain a cohesive front line to prevent the Resistance from slipping through to your base. Don’t let the Resistance seize the initiative! If a large group of enemies pops up in a place where you don’t expect them resist the urge to over-react and plod ahead towards their base. This is just a brief insight into the possible strategies and counter strategies of the Resistance. 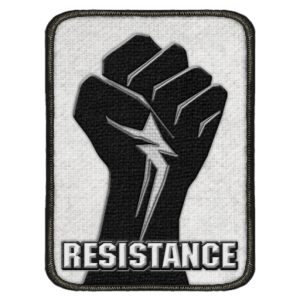 I hope you get a chance to grab the Resistance while they are on sale this week and can use some of the tips in this guide to jump start your strategy. How do you play the Resistance? 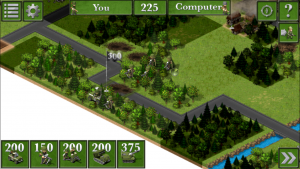 Let me know your armored strategies in the forums.